Today we'll be doing a tutorial to explain the concept of a sort of functionality in ionic that is called Services or Providers. 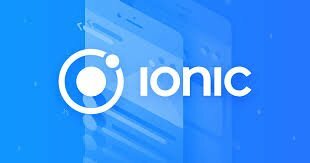 Understanding these concepts is imperative for better mobile development with ionic and would prevent you from writing lots of redundant code. Today ill try explaining the concepts i found hard when i began development with ionic and it seemed like the solutions for this problems weren't on the internet. Fortunately for my reader today, this would help you use providers with ionic way more easily. To do this we can use the ionic CLI or we could actually copy and paste code from any provider we may have created earlier. The difference between these methods is that in the latter we would have to manually import it into the app.module.ts file which can be found in our app folder. Of course when you generate with the CLI, this is done automatically. Within your src folder, you should see a folder called providers. This is where ionic will save all our created providers. So if we look in that folder this is what we would see. I would describe providers as App sized modules. 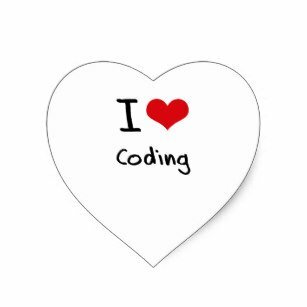 Meaning that they can contain code that will be used repeatedly. To understand how to use this better, lets edit this provider to do calculations for our application. To keep it simple we will assume that this provider is a calculating provider which carries out the basic add subtract, multiply and divide functions in different pages. }//Here within the constructor we put down some basic functions that we would be using for this provider. Now before we get to using this within a page lets check out our app.module.ts file. If you look through this you would see that i commented on the lines where our provider is imported and injected. This would be useful if you ever want to copy a provider from maybe another file or you would like to use the instance i mentioned at the beginning of this tutorial. So now we can add this to any page of our choice. Lets add this to a simple page within the project i'm using to explain this. Below shows the .ts file of the page i would like to import this into and how i am going to do this. So the file below show us using a provider in a page but there is quite a bit to take note of. A common error when using providers in ionic is that when adding it to the constructor we would need to put it as the first element to be constructed. The producers of ionic created it in a way that the constructor evaluates this components based on the order with which they are placed in the constructor. During my early days of development, i tried using a provider and kept getting a Static Injection Error, which is the common error you would face if you fail to include that first. If you do everything right you could access any function and any variable within the provider and this should help you to not have to use navParams to struggle to pass data between pages and components of your application, because this is a way cleaner, easier and better way to manage the data in your application. We suggest you put images of the application you are developing. In a tutorial it is always good to have an example with an image. It is very important that the text is well constructed. We suggest that you place punctuated text and improve your language. Thanks for your work on developing this tutorial. We are waiting for the next tutorial. Thank you for your review, @portugalcoin! So far this week you've reviewed 6 contributions. Keep up the good work!